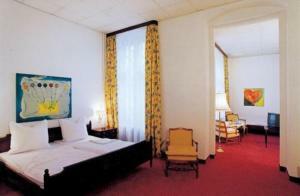 Hotel Meineke Arte, Berlin discount hotels and accommodation. The friendly personal from the Meineke Arte welcomes you 24 hours a day at our family managed hotel. It is located at the historic city centre of Berlin in a quite side road of the famous Kurfürstendamm. View photos, room descriptions and make online reservations at Hotel Meineke Arte. Save on room prices at Hotel Meineke Arte, Berlin.